It's New Year's Eve and there are 25 books on my list this year, guys. Twenty. Five. Books. That's 10 more than last year, and I thought that was a respectable showing. So I guess we can safely say it was a solid twelve months, and I'm so grateful for all the books that moved in this year. FYI, that's 11 contemporaries (wowzers), 4 urban fantasies, 4 fantasies, 3 historicals, 1 scifi, and 1 dystopian. 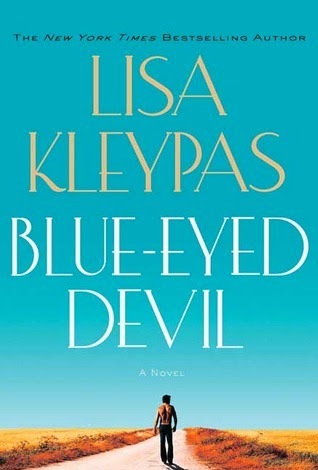 The love affair began earlier in the year with Big Boy and continued pretty much steadily throughout the year as I glommed my way through everything she's written, including the fabulous serialized novel Truly. Quiet. Intimate. Emotional. Honest. She hits all of my buttons. As you know, I am not often falling for the nice boys. But Levi. Levi is worth all the swoons. As Cath points out so beautifully, he gives away nice like it doesn't cost him a thing. You guys, I must have read it four times this year. It has somewhat astonishingly and rapidly become the most comforting of comfort reads. Callie & Ralston . . . oh my. Yes, you do! Both of them lovely and just breathless reads. And LET ME KNOW WHEN YOU DO. Happy New Year, Ginger! Looking forward to chatting up lots of books with you this year. That's a lot of Ruthie Knox :-) I've only read one book (well, novella really - BIG BOY) by her so far, but I definitely plan on exploring her backlist a bit more in 2014. 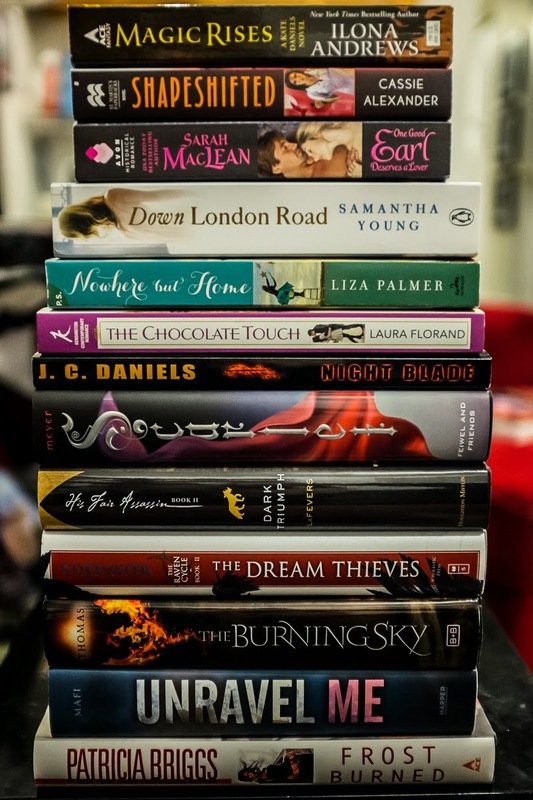 The Allison Parr is on my list of 2013 favourites as well, and oh, I obviously need to start reading Sarah Maclean! Lol. I confess, it is a lot of Ruthie Knox. And not a little Courtney Milan. What can I say? They work for me. In varying degrees, but they generally really work for me. I would love to hear what you thought of Nine Rules to Break!! I'm so with you on rereading Nine Rules to Break - I pick it up constantly! I love your list, I either agree with you or have the books on my list to read. Blade Song especially - I've meant to pick that up several times. 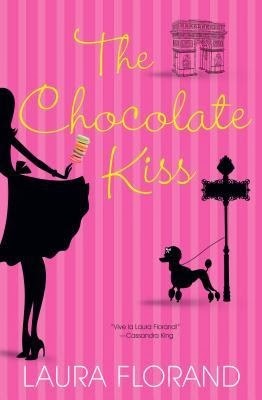 Same with the romance AND fantasy by Sherry Thomas. Also, I owe you BIG for introducing me to Ruthie Knox - Big Boy was fantastic,and Truly ended up on my best of list this year. I can't wait for its release so that more people will pick it up! Do you?! That makes me feel very happy. It's not just me. That BOOK. Gah. Blade Song is awesome. The next two are even better. And Sherry Thomas is such a find. She appears to be able to write whatever she wants. Wasn't Truly the best? I can't wait to own my own copy. I know! I was amazed I read that many. Levi was the best. I started rereading favorite snippets last night. Sigh. The Shatter Me books are really interesting. They have their flaws, but in the end I just really enjoy devouring them. I recently read Nine Rules to Break When Romancing a Rake and I can easily see why it is such a comfort read! I loved it. I've really been into historical romance lately. I just read Tessa Dare's Romancing the Duke which comes out in January and oh my gosh, I couldn't put it down. Also, it's totally awesome that you loved so many books this year. I did not expect it to become one of my top comfort reads. I just really didn't. But it buried itself deep where I live. I think I've read one Dare novella and that's it. I'll have to try something else of hers this year. Wow, there's a lot on your list I haven't read. This makes me crazy because I know I'd love them! Lol. I know the feeling. It was a good reading year, to be sure. Nice! Those two were so engrossing. Sigh. It really is, isn't it? I feel the same way. How did I not manage to fit that one in?! 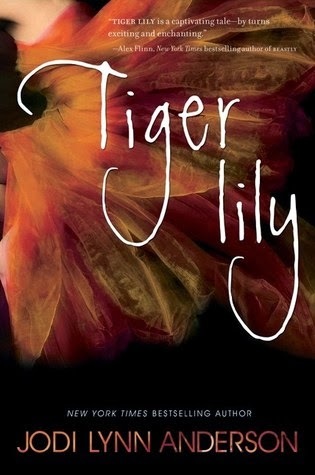 Just checked out Tiger Lily because I saw you talk about it. ;) Happy New Year! Thanks for great recommendations! I can always count on you to have well thought out reasons for your likes and dislikes. Thanks! Oooh, Becky. It is such a gorgeous book. Let me know what you think. And thank you. I love sharing booky goodness with you. Such an awesome list. Every time I see the diversity in genre and I tell myself how I need to be a little more adventurous with my choices. Rainbow Rowell and Courtney Milan are also my list. I do, too. That was a lot of contemporaries this year, Need to expand out in 2014. I agree with every one of these that I've read, which means I should definitely read the others. I definitely need to get back to Briggs and to Mafi! Great list! Happy New Year! There's so many books here I want to read and haven't read yet (like The Burning Sky, which I wanted to read by the end of the year and didn't)! I've only read the new Mercy and Kate books, which were some of my favorites as well. It is a rather lengthy list. Even I was surprised. Burning Sky is so good! I can't wait for the sequel. So dang many good books, Angie! I think at least half of the books I liked best this year I got off your blog. And I didn't even realize the newest Courtney Milan was out! Awesome list! I'm still trying to put mine together. I am happy to see Burning Sky on the list, it's very close to the top of my reading list right now. I hope 2014 will have even more awesome books for you! It deserves to be. Such a charming read. Thanks, Kay!